Are You Being Proactive with Your Customers? 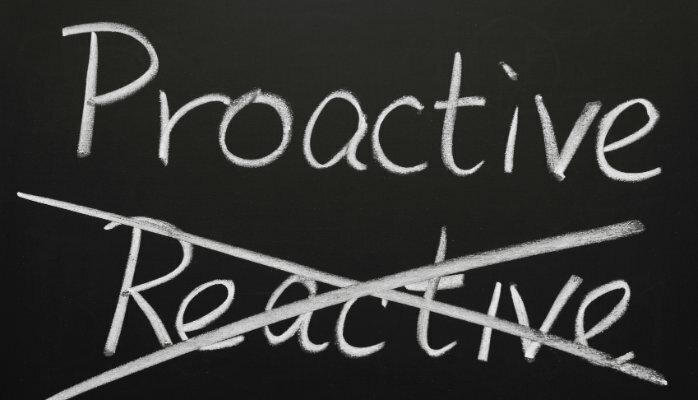 Being Proactive is essential in achieving an outstanding experience for your customers. More often than not, problems or frustrations experienced by customers can be easily avoided if businesses are proactive rather than being reactive. How many times, as a customer, have you asked yourself these questions? Why did they not keep me informed? Why is this issue still not resolved I have shared the information with them? I am sure many other examples come to your mind right now. Get to know your clients and ensure that you fulfill THEIR needs and not yours. Ask them questions; ask them what they would like more of and what they would like as improvements. They are in the best position to tell you, and don’t forget, as so aptly put by Kenneth B. Elliott “The customer is not an interruption of our work—he is the purpose of it.” The more you understand your clients’ needs and desires, the more your customers will appreciate your business and the more you will be successful. A key step in being proactive is listening to your employees (I know, shocking idea)! They are the ones who have a direct link with the customer. They are often aware of the frustrations experienced by customers. Whether it be a matter of lack of appropriate signage, lack of information, a specialized need or just the need for advice, your employees are best suited to tell you what works well and what does not work at all. It’s better to manage happy customers and employees than to constantly manage frustrations! With reactive management, managers spend most of their time dealing with problems. Reactive management is stressful and inefficient. Take back control of time. Being reactive is necessary at times, emergencies happen. However, it can be destructive when it becomes the standard operating procedure.